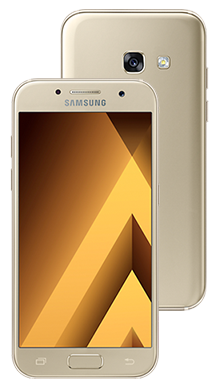 The Samsung Galaxy A5 may have the premium design and innovative technology of a high-end Samsung handset, but fortunately, it comes with a conveniently low price tag. 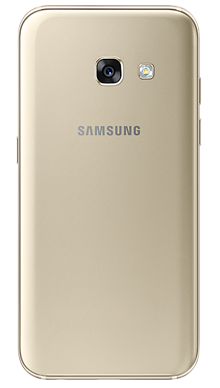 Select your desired options to find the best Samsung Galaxy A5 2017 deals for you. Samsung is one of the world’s largest technology companies, manufacturing smartphones that are consistently met with rave reviews, earning them a reputation as one of the leaders in the industry. You may think that Samsung is known for only developing high-end products that come with an equally high price tag, but the brand also manufactures some highly impressive mid-range smartphones that are the perfect choice for anyone on the hunt for an affordable handset with the Samsung name. Just because these handsets come with a lower price tag doesn’t mean the buyers have to compromise on design and technology. Samsung maintains impressively high quality in all of their products, including those that are a little more budget friendly. Perhaps one of Samsung's best talents is designing smartphones that come with an affordable handset but have a decidedly premium feel. Even though it's far from hitting the highs of the Samsung Galaxy S7 when it comes to technology and speed, it's certainly not far removed when it comes to design. 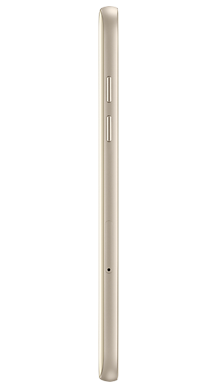 The glass front is surrounded by a glossy, colour matched frame that makes the A5 look sophisticated and professional, and the elegant corners and softly rounded edges make the handset look much more expensive than it actually is. The aluminium frame, combined with robust Gorilla Glass 4, make the phone feel extremely durable, as well as comfortable in hand. On top of that, it is also waterproof, which is a feature that we wouldn’t normally expect on a mid-range handset. The display is extremely impressive for a mid-range handset; it comes with the same Super AMOLED technology that we’re used to seeing in the high-end Samsung handsets, and colour balance and brightness is extremely solid. The Samsung Galaxy A5 comes with support for hi-resolution music files, putting it leagues ahead of the iPhone, even those released this year. All instruments are handled well, and the overall audio experience is one that is dynamic, rich and extremely clear. If your main concern is smartphone photography, then you’ll be happy to learn that the Samsung Galaxy A5 comes well equipped with two 16MP cameras, one on the rear and one on the front. There is ultra-fast autofocus and HDR available for enhancing your photos and ensuring you get the perfect shot. The camera app is exceptionally fast and very responsive, ensuring that taking photos couldn’t be easier. The front shooter performs equally well, and even if you turn beauty mode off, your selfies will look fantastic. 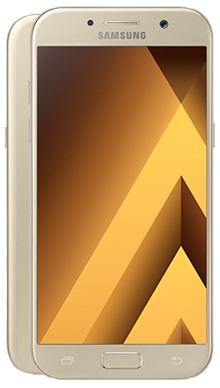 The Samsung Galaxy A5 runs on the impressive Exynos 7880 processor, delivering an ultra-responsive smartphone experience without any delay. There’s a decent 32GB of internal storage and 3GB of RAM on board, and the 3000mAh battery will easily see you throughout a day's intensive use. The impressive GPU gives an incredibly high standard of graphics which is fantastic if gaming is your thing. Here at Metrofone, we’re proud to bring our customers some of the very best Samsung deals out there. The Samsung Galaxy A5 is the perfect choice for anyone who is on the hunt for a new smartphone at an affordable price; it allows shoppers to get their hands on a Samsung handset without breaking their budget, and that’s why we’re able to deliver some great Samsung Galaxy A5 offers. 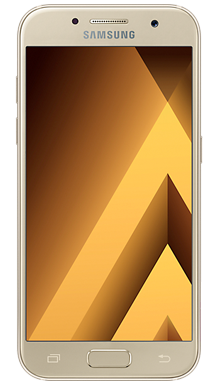 So, if you’re looking for an EE pay monthly contract, then we also have some of the best Samsung Galaxy A5 EE pay monthly deals on offer, giving you fantastic perks, loads of data and even the odd cashback offer to bring you massive savings. If you can’t find the best Samsung Galaxy A5 deal online, then why not contact us on 0333 900 1144 and our UK based customer service team will be on hand to guide you to the perfect deal for you.